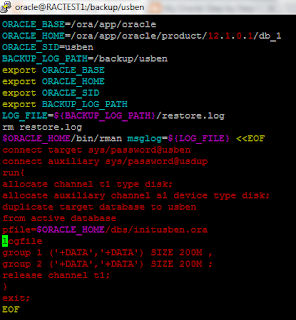 Oracle 11g introduced the new feature to Duplicate the database from active database. Duplicating from an active database doesn’t require any RMAN backup to be taken from the source database. It directly reads from active database. 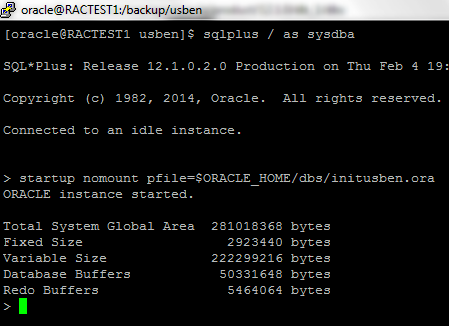 But this might cause negative performance impact for source database while duplicating the database. It could also cause network traffic between source and target database. You can take this approach if your environment is accepting these risks. The RDBMS software should be installed on the auxiliary database server and the DB version should be same as target database server. 5. 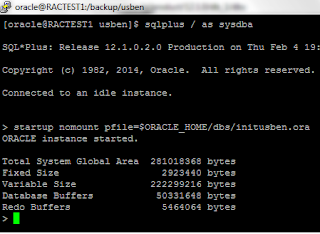 Duplicate the database in auxiliary instance. Step1 Create the necessary folders in auxiliary database. Here i am migrating the database from file system to ASM disk. This case, we don't need to create directory in the file system. I created the directory in ASM disk. 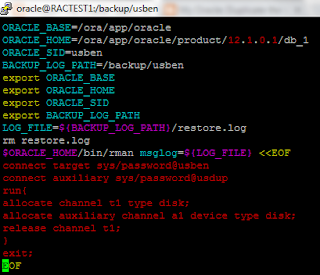 Step2 Copy the password file and parameter file from target database server to auxiliary database server. 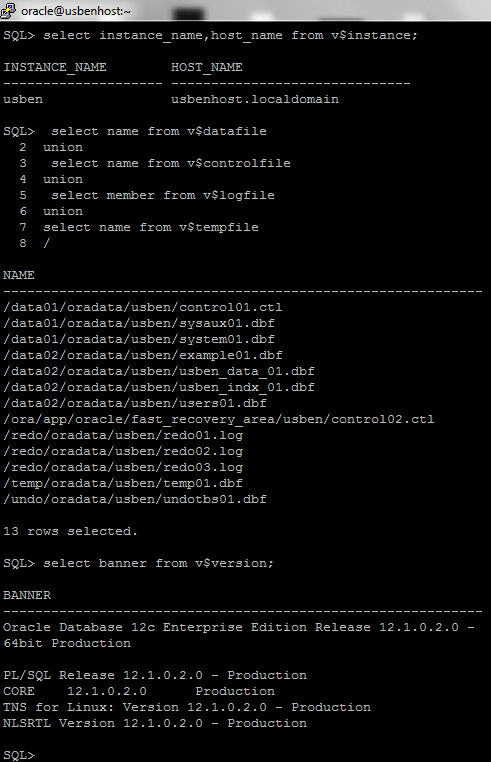 Add entry in /etc/oratab for usben database. Modify the parameter file in auxiliary database according to the environment. Here is the modified pfile in auxiliary database. Step 4 Check the connectivity between source and target. Add entry in /etc/oratab for auxiliary database. Adding the below entries in auxiliary database. DO NOT MAKE any changes in target database. Start the listener in auxiliary database server. Service "usben.localdomain" has 1 instance(s). Now check the connectivity between auxiliary and target database server. 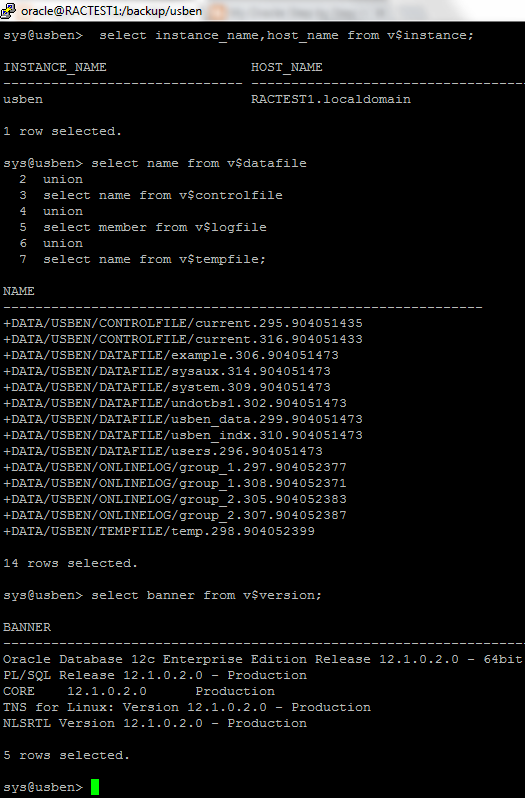 Here is the log file content for above shell script. The connectivity seems successful. I am proceeding on actual restore now. Step 5 Duplicate the database. Start running the above script in background mode. 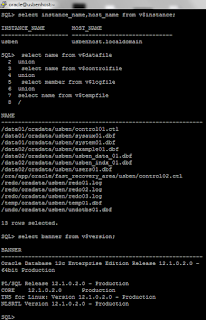 Tailing the log file while duplicate the database. 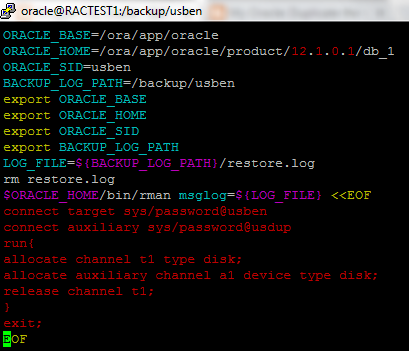 Here is the complete restore log file. Step 6 Create the spfile in ASM disk. We could do this step at the beginning too. However, i do this step at the end for my convenience. Step 7 Verify the restored database. 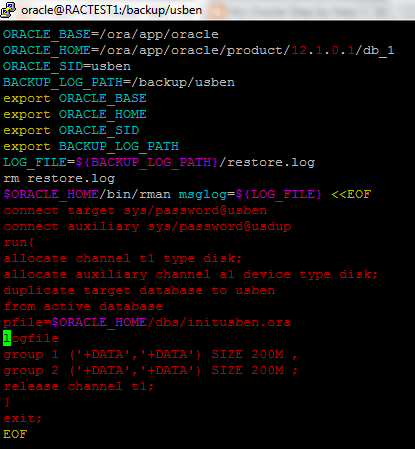 The database restored successfully and migrated to ASM instance.